Canadian riders Tim and Joanell Storm, from Victoria BC, have recently returned from their first cycle trip through Portugal. Former high school teacher Tim (60) and Joanell (56), who worked in a hospital laboratory, are recently retired. Their time in Portugal had many high points, from strangers buying them coffee to watching fishermen sort their catch on the beach and the country’s famous custard tarts – which got two more votes. But there were also a few trials and tribulations – like being unable to find decent printed maps and trying to fly home with their bikes at the end of the trip! 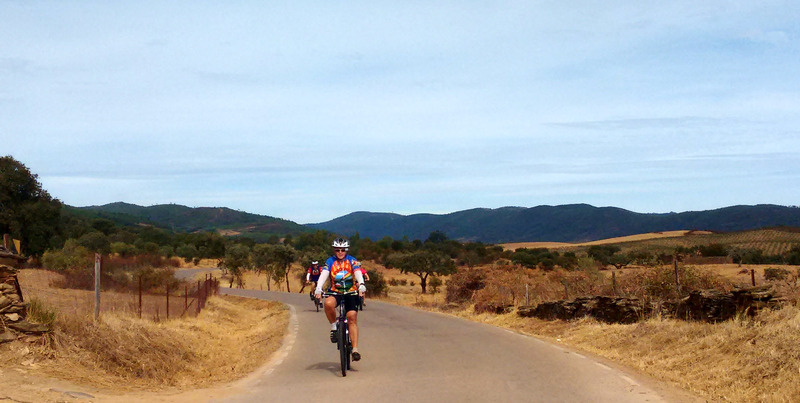 We discovered we love cycle touring because it is such a wonderful way to see a new country. Slow enough to see the countryside and towns, since you are on quieter roads, faster than walking or hiking. Your bike can take you almost anywhere you want to go in a city… even on trains and the metro in most cases. The bike can carry everything you need to live for a few weeks or even months. And of course, it makes the food and drink taste fantastic. Pastel de Nata… perhaps the main reason for cycle touring. Food. We took our first bike trip in the Netherlands in 2011, which is a great place for those new to the activity. We have never joined a group or guide and prefer to organize the trips on our own. Although after a few near disasters I can see the appeal of having someone else do all the organizing. After the Netherlands, we cycled the Canal du Midi in France, and a bit of Provence in 2013. This was the 100th anniversary of the Tour de France and we were fortunate to be on the Champs d’Elysees to see the final stage. In 2016 we spent a week cycling in Switzerland around Geneva and Bern, and then followed the Eurovelo 6 from Becanson in France, along the Loire River, and finished in Nantes four weeks later. And this year we started in Bayonne, France, following the Camino del Norte to Santiago in Northern Spain, then down the northern coast of Portugal to Lisbon. Tim has a Surly Long Haul Trucker and I have a Novara touring bike, which is manufactured by Giant, for the American outdoor store, REI. My bike has disc brakes, while Tim has caliper brakes. The disc brakes were much more effective in wet conditions. Both of us were happy to cycle in Keen sandals that do not clip in, but are still sturdy enough to walk for hours on cobbled streets, with a stiff enough sole to withstand days of pedalling. We do not yet own a GPS (see comments below), and relied on paper maps and cellphone to pinpoint our actual location. Before we left home I planned to buy a SIM card in Europe for my unlocked cellphone. However with the prevalence of Wi-Fi now, it was never necessary (though not always convenient). I only needed to make a few calls which was still cheaper than getting a new SIM card. After struggling with ancient canvas panniers for years, we went online and found used Ortlieb waterproof panniers which were fantastic. Not only waterproof, but spacious and very easy to put on and take off the bikes. We have cycled in France, Switzerland and Holland and were perfectly happy with Michelin maps and cellphone backup. However it was near impossible to find any maps at all with the proper scale in Portugal. Tourist information offices had no clue where we could find one (bookstore! ), and local bookstores had lots of information on Poland or Munich, for example, but nothing on their own regions. “No maps anywhere?” we asked. “No maps at all,” he confirmed. So if you do wish a paper copy, order it from Amazon well before you leave your home. And paper maps are not always accurate. We cycled through towns that were not marked on the map, and there were roads on the map that did not exist in real life. We will be getting a GPS before the next trip, for sure. Camping in Portugal is not camping in North America. Camping is more a place to sleep and shower, and that’s about it. Prices varied immensely, regardless of the condition of the site, ranging from €6 for two people and a tent to €25. All campgrounds had access to Wi-Fi, even if only at reception, and many had restaurants that offered very reasonably priced ‘menus of the day’. If you are on a bike, you are probably tenting, and it seems that in Portugal, tents are relegated to the marginal areas of the campground where the land is sloped, uneven, and most likely bare dirt. One place was full of feral cats and the tent area seemed to be the site of the cats’ litter box. Another tent site was a big patch of beach sand on a hillside, too deep to push the bikes through and no shade or tables to speak of. And with sandy soil, comes many ant nests. We experienced a couple of invasions due to inattention to the ground when we set up. We did not come across any campgrounds that had picnic tables readily available for tenters to use for cooking or sitting. You’ve got to be comfortable with whatever you can get. To be fair, the main campground in Lisbon is probably the best value in the city for accommodation you can find on your bike, (€20 for two people and tent) with a shaded area for tents, a swimming pool, restaurant with a great menu and small ‘mini-mercado’ and easy access to public transit. Far better to take the bus into town than to take your life in your hands getting into the city on your bike. We had our best sleeps camping. Hostels in the cities are often located in areas with lots of nightlife, and the Portuguese do not go to bed early! Earplugs are a necessity. Most campgrounds are securely fenced with a 24-hour guard to open and shut the barrier. On the coast, many had gates to access the beaches, and these were locked from 7pm to 9am. All had reception areas with staff to check you in. Paperwork was meticulous. Passport number were recorded for the two of us. Some sites required a keycard or wristband for entry. We heard horror stories from various sources about how difficult it is to cycle through Porto. We approached it from the north and spent some time getting out to the coast as soon as we could. There is an amazing coastal bike path that takes you right into the city, and around the north side of the river mouth. There is a small ferry to take you to the south side and meet up with another great coastal bike path. Lots of camping on that side too. We spent most of our riding time on the coast, with side trips to towns inland. Overall the route was scenic and interesting. There is one long path for bikes only, from the area north of Pedrogão (near Leiria) to Nazaré through a pine forest that does get a bit boring, but it was also a welcome break from speeding cars. Nazaré was one of the highlights, and there’s a great campground there too. We had unfounded, prior expectations, despite research to the contrary, that there would be a continuous coastal road all the way down the coast, and there is not. Still we were able to find a route that was not always on a busy national road. One great thing about the coastal route was the opportunity to see the fishermen with their traditional boats bring their nets to the beach and sort the catch. We saw this in Espinho and Pedrogão, and it was a highlight. Many tourist offices in the smaller cities were very helpful in finding a cheap hostel for us at short notice. We also used the internet for hotel booking and that was easy. Our advice to anyone trying to cycle into Lisbon on their bike: take the train! Unless you are comfortable riding a fully-loaded touring bike with panniers on insanely-busy roads with no shoulder. Perhaps it was due to our poor navigation methods, but we could not find a route into town on quiet side roads. At one point we were on a major ‘IC’ road somehow, and the police waved us off the road with flashing lights and hand gestures. We were lucky not to get ticketed. We found it easier to shop for food in Portugal than in Spain, for example, where shop hours were more limited. Most larger grocery stores are open on Sundays, and do not close over the lunch hour. We had no problems finding food while on the bike, and actually ate most of our meals from the grocery store. We brought along a small stove and espresso maker – which was one of the most appreciated items of equipment we brought, a real godsend! It was easy to find replacement gas canisters in the Decathlon stores, which seem to be in the more populated areas of Portugal. The most difficult part of the trip was getting our bikes back home. Our airline requires bikes to be packed in a rigid-sided container or bike box. Before we left home we contacted a few stores to ask them to put aside some boxes in the second week of June. We heard back from Lisbon Bike Shop, who asked us to email them a week before we hoped to leave Portugal. We did that and they assured us they had boxes. However, when it came time to get them, they did not. I also contacted several stores listed on Pedal Portugal and only one of them got back to me with an answer. Our last resort was the Decathlon store near the Lisbon campground, and they, fortunately had two large boxes. We packed the bikes at the campground and then tried to get a taxi to take us to our B&B, where we were to spend the last two days. Finding a cab was basically impossible. In a city of 2.7 million, we could not get a large enough cab to fit the boxes! We needed a van and the taxi call centre said that they were all booked up for the entire day. We had also tried to reserve one the night before, but the companies do not allow the large cabs to be booked in advance. Finally a worker in the campground called a tour operator who had a Mercedes passenger van, and he drove us 10km to the B&B… for €40 euros! Once at the airport, security very nearly did not allow us to check the bikes through. The boxes were too large for the scanner for ‘odd-shaped’ luggage. We had to unpack the boxes and scan the bikes separately. But how to scan the box? A visual inspection was not allowed… but they finally relented. And then they did not want us to repack the bikes ourselves, once they had gone through the scanner, nor would they put the bike in the box for us. Fortunately in the end, they allowed us to repack the bikes and tape the box, all with admonishments to hurry up and not touch anything in the area. It was a bit intimidating and the security guard was definitely annoyed and harassed. But in the end the bikes got to the baggage handlers, and when it was all done there were handshakes and smiles and wishes of good luck. The ticket agent who also helped us told us afterwards that security had done us a “huge favour”, and that we were lucky to get the bikes on the plane at all. I don’t know how it is at other airports in Portugal, but this is how it was in Lisbon! We have never had a problem leaving Canada, or arriving in Europe, with our bikes in a cardboard shipping box. The only issue was in leaving Lisbon airport, which wants bikes in plastic bags. Both France and the Netherlands were happy to take the boxes… in fact, both KLM and Air France sell them at the Amsterdam and Paris airports, respectively. Overall it was a great trip and we finished our riding about three days sooner than we planned, so had some extra time to explore Lisbon and take the bus to Évora for a day of sightseeing. We found the Portuguese people to be very friendly and helpful. Unexpectedly so. From strangers offering to buy us a coffee when we were stuck in the rain, to offering to help me get my bike over a curb, people giving directions, our host driving us to the airport… these are just a few examples. We were struck by the general feeling of well being and happiness of the Portuguese people. There was the ever present feeling that people were just happy to be alive. 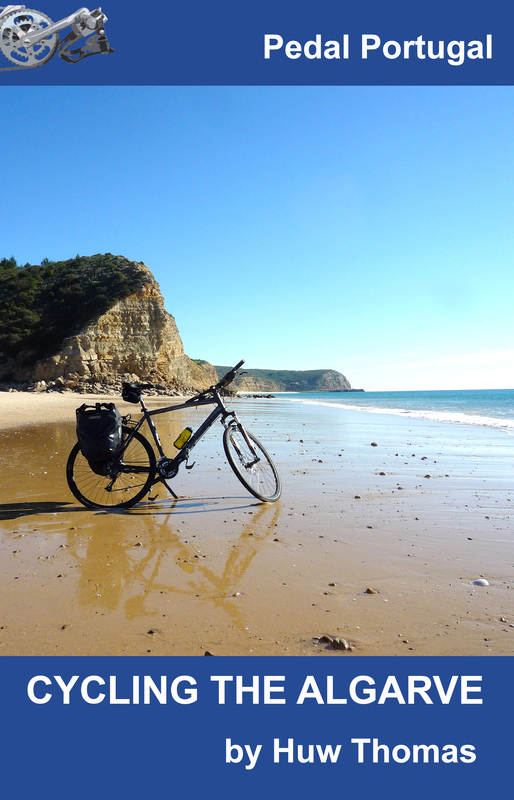 Love the blog, so true – the bit about Pastel de Nata being reason to cycle in Portugal. 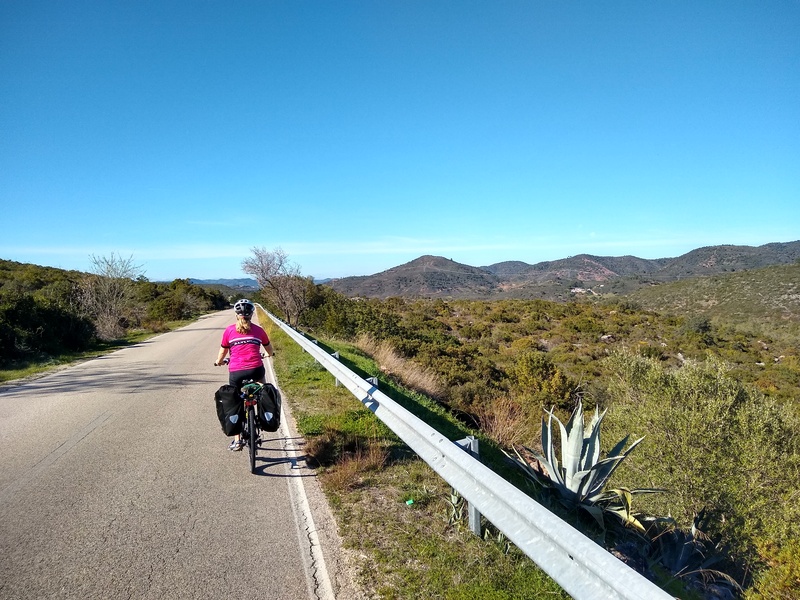 We spent two months cycling from Faro to San Sebastian along the coast of Portugal, to Santiago and then (coincidentally) the northern Camino route – far fewer walkers coming towards us. We avoided the flying home issue by cycling to Bayonne then catching a train to Paris, and Eurostar to UK. We stayed in B&B the whole way, which means far less to carry, and we could dry everything. It was far wetter than expected. RideWithGPS on a phone is far easier than maps. And Keen sandals are definitely the go. 2019 is going to be much flatter and less windy – northern France and Belgium. What a great blog! We must have passed you, my husband and I (Aussies) cycling north from Lisbon to Santiago de Compostela from 1 May. We fly British airways from USA to Europe and they are great with bikes. We use padded bags and ship the bags with FedEx to our endpoint for use on the trip home. We booked a “limo” service to get us from Lisbon to our accommodation as we’d heard horror stories about the Lisbon taxis. So I feel your pain getting to the airport, and I’m glad we avoided that. 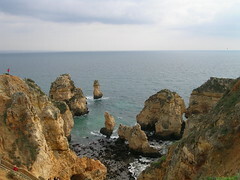 We SO loved the Portugese coast and as we cycled north to Paris we kept saying “I miss Portugal”. We found the drivers mostly considerate. Great and informative article. We cycled Alentejo and Algarve last september/october and had a fantastic holiday. We decided not to camp and instead used AirBnB and local ladies who showed us the best deals. Easy to find a full little suite for about 30 Euros. Getting to and from the airport is always a hassle but we had no problem with security and our bike boxes. Unfortunately things might have changed since then so thanks for the heads up. 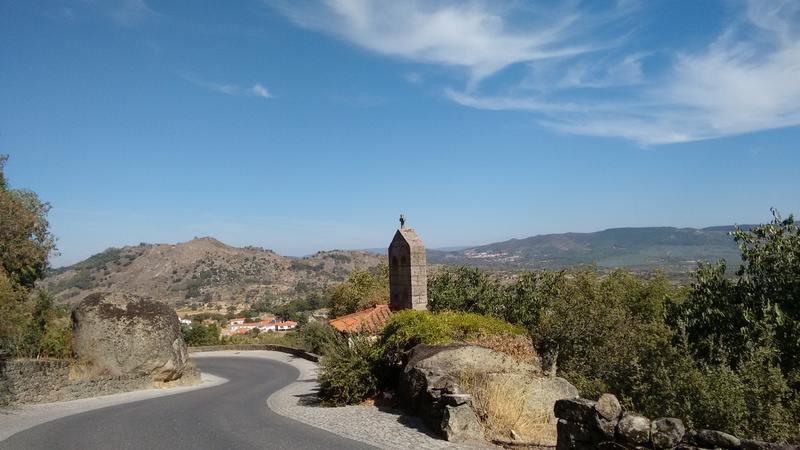 Lovely blog, Joanell, thank you – I cycled from Lisbon up to Santiago last year. I was wondering – have you blogged about the Camino del Norte? It is next on my list of Caminos (having also done the Frances in 2015), and I’d love to know more. Did you stick to the roads or take the Camino path, was it easy to find your way, etc… (I’ll be hotel/hosteling rather than camping.) Good luck with your next adventures whatever that is! I have not blogged about the Camino del Norte, but in a nutshell, it is quite easy to follow the route with bikes. That is, until you approach the larger cities. As in Portugal, a reliable form of navigation, or a pre-planned route of secondary roads into the centrum would make things much more stress-free. Unless you are on a sturdy mountain bike with minimal luggage on board, I would not recommend following the footpath portions of the trail. We stuck to the roads and followed the route as closely as possible. As it is, the pilgrim route in the north has quite a bit of road walking as opposed the the Camino Frances. There are ample albergues along the route, and all the ones we stayed in were happy to accommodate our bikes. It seems that more and more people are choosing to cycle the route. It is necessary to get a pilgrim passport in order to stay in the albergues. We have heard that on the Camino Frances, competition for beds is so intense that cyclists were not given space until 8pm, to allow all the walkers first opportunity. We did not encounter that. We also heard that on the Frances, pilgrims would start walking at 5am to get a head start to the next bed. Again, that was not the case on the Camino del Norte. But then we were there in May, and most albergues don’t open till April. Another young Estonian cyclist, when asked how he liked the route, laughed and said it was a “s**t-h*ll” road. On the other hand, we met a couple of young German women, cycling in flip flop sandals and beat up cruiser bikes that were practically falling apart, who managed the route just fine. Be sure to bring spare tubes etc since bike shops are few and far between. By the time the Camino del Norte joined up with the Frances, we were shocked at the numbers of pilgrims. It was a river of people heading into Santiago. Just streams of walkers. On the northern route, we would pass ten or fifteen people per day. Another challenge we had was remembering to plan for afternoon shop closures, and complete Sunday shutdown. If you are buying food in grocery stores you must get everything you need on Saturday. I hope this information helps. Oh and one more thing, we had alot of rain in May. 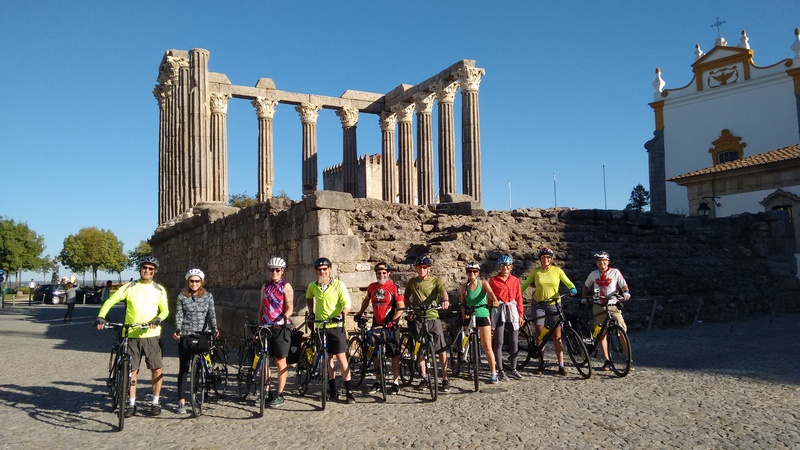 Lovely blog, Joanell, thank you – I cycled from Lisbon to Santiago last year! I was wondering whether you have blogged about the Camino del Norte, as I’m hoping to cycle that in 2018 and I’d love to read more about it. Did you take the roads or stick to the Camino path itself? And how was it?? I posted some general information about the Camino del Norte in the comments section of the Pedal Portugal blog. Hope it helps. Great article, thanks. I’m especially interested to hear about your experiences of the campsites. I am planning to go from Porto to Lagos in October , probably inland until I am south of Lisbon. I’m going to take a bivvi bag with a hoop, not quite a tent. It doesn’t sound like there is that much advantage in staying at campsites as opposed to wild camping. You’ll always get hot showers etc at campsites and the security of knowing you’re allowed to be there but facilities can be pretty mixed. I know quite a few cyclists do free camp and it’s pretty easy to find a quiet spot. However, if you knock on the door at a farm and ask for permission to put up a tent then the Portuguese are pretty easy going and are very unlikely to say no – plus they’ll probably let you use a water tap. One other thing worth knowing – you can normally sleep for free at the fire station! The Bombeiros let walkers, cyclists etc use floor space for an overnight for free. They’ll also often have a sink and toilet you can use.